Craft Stick Catapult! #makereducation « Adafruit Industries – Makers, hackers, artists, designers and engineers! Get crafty with this tutorial from the Oakland Toy Lab via instructables. The craft stick castle isn’t going to invade itself! 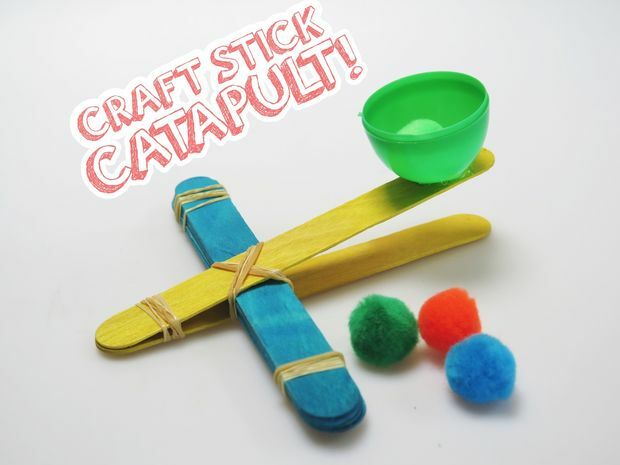 With a quick craft stick catapult, you’ll be launching pom-poms over pipe cleaner parapets in no time. Whether you’re using it to learn about levers simple machines, or want to join in a 2,400 year history of launching projectiles, the craft stick catapult can be your new favorite toy.